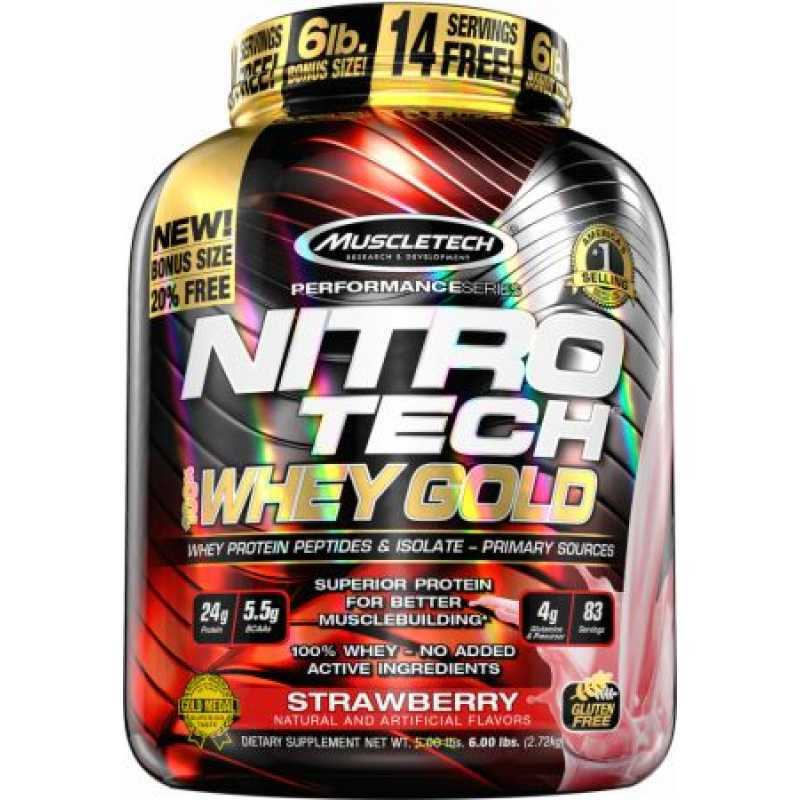 Each scoop contains 24 grams of ultra-high-end micro filtration protein, incredible pure protein powder is equipped with whey protein peptide and whey protein. Each spoon is supplied with 5.5 grams of branched chain amino acids and 4 grams of glutamine. 100% Clean the use of fine cold micro filtration process to ensure higher quality whey protein. 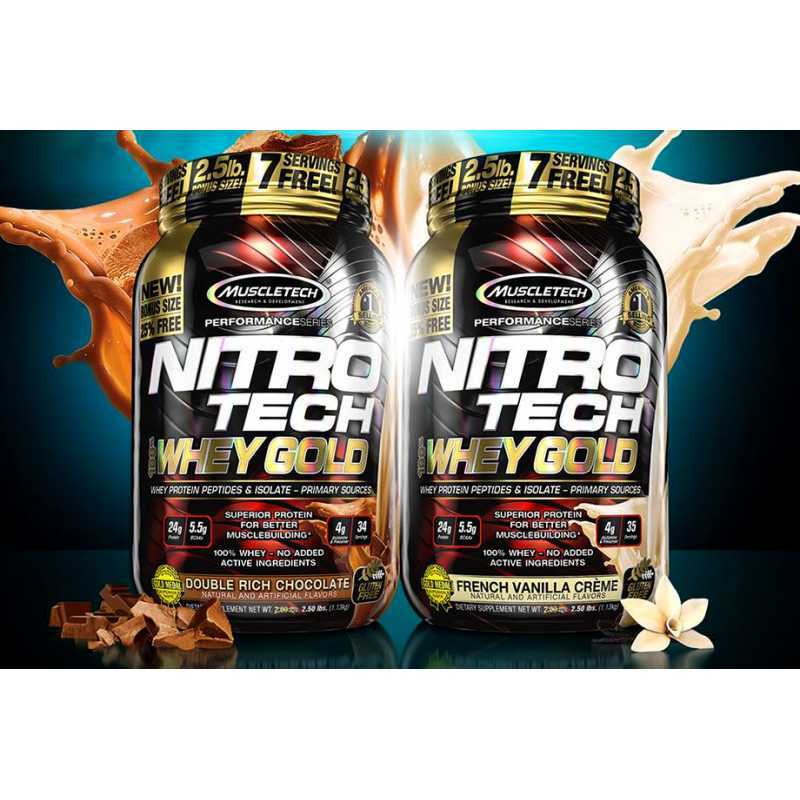 Nitro Tech has been the leading protein brand for more than 20 years and has earned the trust of countless consumers around the world.Currently, quality and production have created a new formula for introducing Nitro Tech 100% Gold Medal Milk Powder. The whey protein peptides can promote rapid recovery from exercise and even support improved insulin delivery in the insulin secretion reaction. This means that you get a very pure, rapidly absorbed and rapidly digested protein that allows you to recover faster and build more Muscle quality. 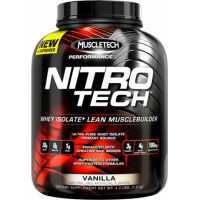 MuscleTech Nitro Tech Performance Series is the most powerful protein formula ever developed and it ..